Now that we’re at the end of winter, it’s a time of year when we really start to miss the warm summer weekends and all the outdoor livelihood that Long Island has to offer. But of all the beautiful and fun places on Long Island, the one I miss most… is my own backyard. We spend so much time in our yard - it’s the place we make the most memories. That’s why I love to design and create outdoor spaces for others too. Here are 10 ideas to start planning for your own yard this summer. Enjoy it with friends and family! Make a bird-house with your kids. Make wishes on stars. Put your wishes in a box (keep in a safe place) and read the wishes again 5 or 6 years later. Cook, eat, drink and dine outside. 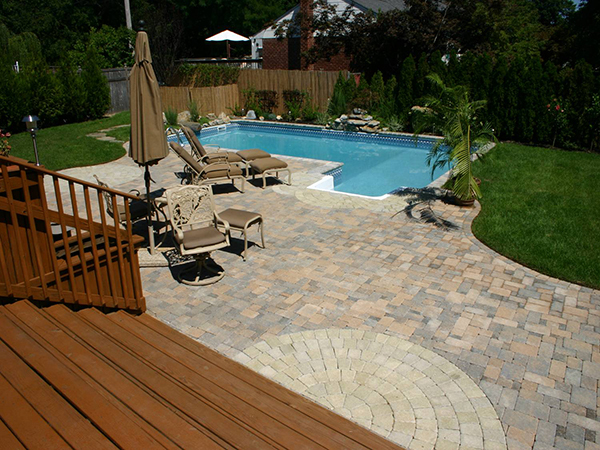 To learn more about how Flawless Paving & Masonry can help you get started on a beautiful outdoor living space, visit www.flawlessmasonry.com. We service all of Long Island and beyond (Nassau County, Suffolk County & Queens, NY).